Recently I stopped by the Soho offices of The Moving Picture Company. MPC has been a major player in the UK for years, delivering postproduction, VFX, color grading and animation to the feature film, advertising and television industries. They must be doing something right, because the company–a division of Technicolor–has grown to include offices around the world. In addition to London, MPC has facilities in Los Angeles, Vancouver, Bangalore and, of course, New York. MPC’s credits for feature work are top rank too. They’ve supplied effects for Ridley Scott’s Prometheus, Pirates of the Caribbean, and the Harry Potter series. Upcoming projects include Skyfall (the new James Bond movie), Life of Pi, Superman: Man of Steel, and others. MPC’s entry into New York, however, turns more around its plans to make its place in the City’s busy commercials market. They have a good start, with high profile spots in the can for DIRECTV, Sony, Cadbury, Evian, Avios, and Volkswagen. MPC’s other creative abilities include motion graphics, website design, mobile and interactive multimedia installations—areas which also find a ready market in Manhattan. Like the other UK companies that have built a New York presence, including The Mill and Framestore, MPC chose to set up shop in Soho. Now settled into the top two floors of a grand old loft building on Broadway — once upon a time, the home of a shoe factory — MPC transformed it into a bright and airy space. They’ve installed a large staircase to connect the two levels to foster easy collaboration. Future plans include that prerequisite of any facility lucky enough to find itself on a top floor: a fully kitted-out roof deck. At MPC, I met with the New York studio head, executive producer Justin Brukman. Affable and outgoing, Brukman spent eight years at MPC London. As a senior producer, he handled projects such as a series of award winning spots for Virgin Atlantic, as well as one of the first stereoscopic commercials, in this case for Sky Television. After a brief chat, Brukman took me on a tour of the loft-like space. The top floor holds MPC’s executive and production offices; taking the steps down brought me to teams of creative artists sitting at rows of workstations. At the bottom of the stairs, I had the chance to look over the shoulders of a motion graphics artist, who sat creating some slick images with Cinema 4D. Other graphics folk sat at machines running Autodesk Maya and Flame as well as The Foundry’s Nuke. A well-appointed color grading room holds FilmLight’s Baselight, one of the top color correcting systems out there. Brukman explained that the room took advantage of Technicolor’s high-speed, worldwide network. Anyone working in the room can connect to other suites around the world, so that a director in London, for example, could confer with a DP in Los Angeles and a colorist in New York. We ended our quick tour in the machine room; no surprise, it contained the requisite racks of servers, digital tape decks and other gear that form the backbone of a modern facility. Here’s a look at some recent MPC projects. The series of spots for Internet hosting company Go Daddy are hilarious. If you haven’t sat through a recent Superbowl ad onslaught recently, you might not know that Go Daddy’s modus operandi in their commercials is to offer up gorgeous gals. Not a bad marketing strategy, however this campaign also honors the the geeks who make the technology work. See all of the spots here. The high energy “Game On” series of spots created for Nike+ feature actors running through urban environments which transform into treacherous, video-game like obstacle courses. The VFX is seamless and the effect is riveting. See all the Nike+ spots here. If you’re a sci-fi fan like I am, you might admire this spot for Capri Sun titled Queen Lisa about a smart young lass and some space aliens. Notable for the character work, this spot integrates live action and CGI aliens in a believable and convincing manner. See the full spot here. Why choose MPC’s New York outpost? For starters, you’ll find a complete range of integrated creative services, including visual effects, color grading, motion graphics and animation. There’s crews handling digital design as well, such as interactive and experiential work, web, graphic design and web development. For color grading, their top colorists include Mark Gethin, Jean-Clement Soret, and George K. As noted, productions that are spread across a few continents can still work together on crucial aspects of production design. MPC also draws upon experienced talent in the City. 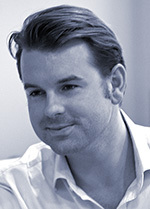 Alex Lovejoy, U.S. creative director, previously worked at The Mill as senior VFX supervisor. Another recent hire, Justin Lane, is now managing director. Lane spent more than seven years as a partner/executive producer at top shops Psyop and Mass Market. Other notable talent at MPC New York include Vicky Osborn, head of 3D; Dean Robinson, senior CG artist; \Marcus Wood, senior VFX artist; Alex Harding, Nuke and stereographic artist; and Andrew Montague, senior motion graphics creative.